Biology of periodontal and periimplant tissues WP febr 4. Comprehensive case presentations I. (perio-prot direct/indirect, surg) GI febr 11. Periodontal aspects of implantology, augmentations I. WP febr 18. Periodontal aspects of implantology, augmentations II. WP febr 25. Is periodontitis a risk factor in implant dentistry? HA March 4. Periimplantitis. Background and management MB March 11. Comprehensive case presentations II. (perio/plastic surg – impl) MB March 18. Comprehensive case presentations III. (perio-non-surg/surg – impl) HA March 25. Consultation: Periodontal diagnostics GI April 1. Supportive therapy in periodontology and implant dentistry HA April 8. Written exam WP/GI April 29. Substitution: due to illness, lecture of 5 Dec is held by Dr. Zs. Darjkó DMD specialist. Correlation between peridontology and orthodontics HA szept 12. Periodontal aspects of prosthetic rehabilitation GI szept 19. Morphology of periodontal defects. Indications of periodontal surgery DF szept 26. Periodontal surgery I. General introduction GI okt 03. Periodontal surgery II. Surgical correction of gingival enlargement GI okt 10. Periodontal surgery III. Periodontal resective/reparative surgery HA okt 17. Biology of periodontal tissue. Basics of regenerative techniques NP okt 24. Clinical application of periodontal regenerative techniques I. WP NP okt 31. Clinical application of periodontal regenerative techniques II. WP nov 7. Treatments of furcation defects PZs nov 14. Biological mediators in periodontal surgery DF nov 21. Mucogingival surgery I. MB nov 28. Mucogingival surgery II. / Written exam MB DZS dec 05. Alveolar ridge preservation techniques WP dec 12. Biology of periodontal and periimplant tissues WP február 5. Periodontal aspects of implantology, augmentations I. WP február 12. Periodontal aspects of implantology, augmentations II. WP február 19. Is periodontitis a risk factor in implant dentistry? CSNB február 26. Periimplantitis. Background and management MB március 5. Comprehensive case presentations I. (perio-prot direct/indirect, surg) GI március 12. Comprehensive case presentations II. (perio/plastic surg – impl) MB március 19. Comprehensive case presentations III. (perio-non-surg/surg – impl) HA április 9. 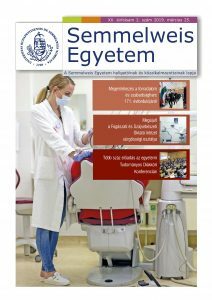 Consultation: Periodontal diagnostics GI április 16. Supportive therapy in periodontology and implant dentistry HA április 21. Written exam WP/GI április 23. Periodontal aspects of prosthetic rehabilitation GI szept 13. Correlation between peridontology and orthodontics HA szept 20. Morphology of periodontal defects. Indications of periodontal surgery DF szept.27. Periodontal surgery I. Surgical correction of gingival enlargement GI okt.4. Periodontal surgery II. Periodontal resective/reparative surgery HA okt.11. Biology of periodontal tissue. Basics of regenerative techniques CsNB okt.18. Clinical application of periodontal regenerative techniques I. WP okt.25. Clinical application of periodontal regenerative techniques II. WP nov.8. Treatments of furcation defects PZs nov.15. Biological mediators in periodontal surgery DF nov.22. Mucogingival surgery I. MB nov.29. Mucogingival surgery II. MB dec.6. Alveolar ridge preservation techniques WP dec.13. Periodontal aspects of implantology, augmentations I.
Periodontal aspects of implantology, augmentations II. Is periodontitis a risk factor in implant dentistry? Periodontal aspects of prosthetic rehabilitation GI szept. 8. Correlation between peridontology and orthodontics HA szept. 15. Morphology of periodontal defects. Indications of periodontal surgery DF szept. 22. Periodontal surgery I. Surgical correction of gingival enlargement GI szept. 29. Periodontal surgery II. Periodontal resective/reparative surgery HA okt. 6. Biology of periodontal tissue. Basics of regenerative techniques GI okt. 13. Clinical application of periodontal regenerative techniques I. WP okt. 20. Clinical application of periodontal regenerative techniques II. WP okt. 27. Treatments of furcation defects PZs nov. 3. Biological mediators in periodontal surgery DF nov. 10. Mucogingival surgery I. MB nov. 17. Mucogingival surgery II. MB nov. 24. Alveolar ridge preservation techniques WP dec. 1. Periodontal reality. Where are the limits of the treatments? Summary WP dec. 8.